Beans are a great source of protein, complex carbohydrates (the good carbs that give energy to brain and muscles) and dietary fiber. Also, beans have the “good fat” your body needs and a low glycemic index, meaning they have the ability to give you energy over a sustained period of time by slowly releasing its nutrients into your blood stream. In Latin American and Caribbean dinner tables, beans are always present. Most of the time they are stewed or refried. 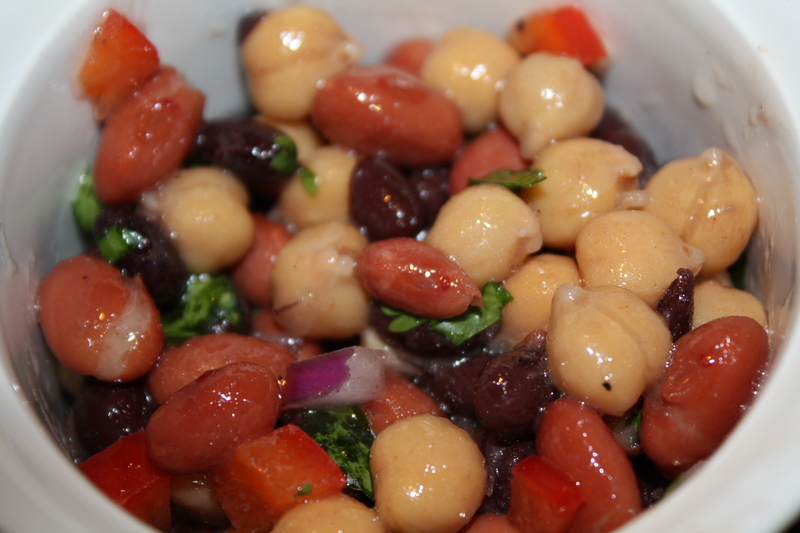 I really like my version of three bean salad which is easy, healthy and full of flavor. 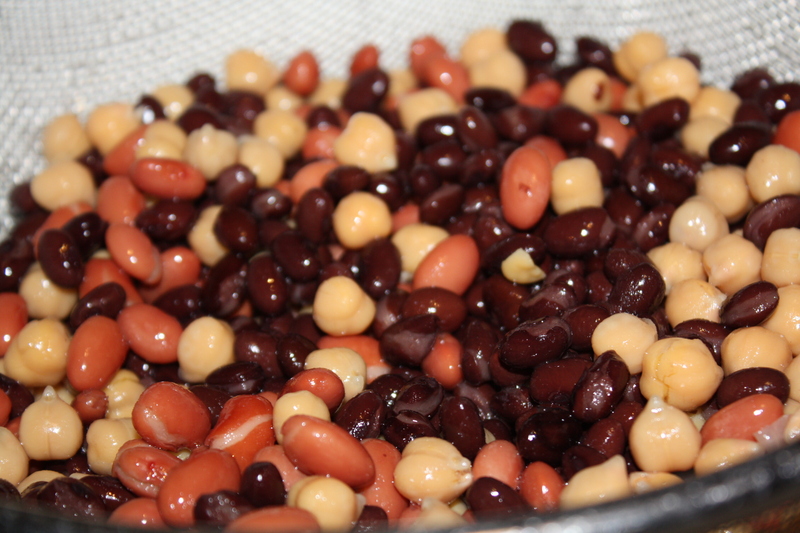 Also, beans are inexpensive and easy to store for long periods of time (canned or dry). I use organic canned beans when I find them. 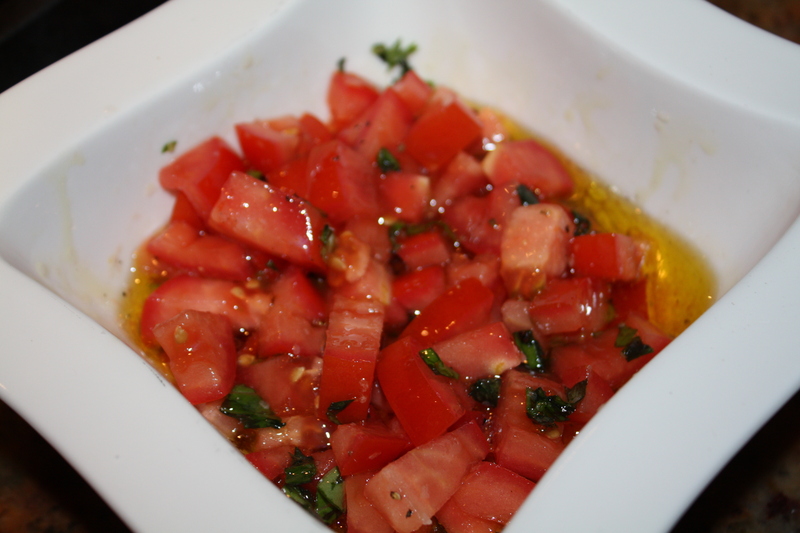 Serve this salad with your favorite lettuce, baby greens or over toasted bread as quick snack like a “bruschetta tre fagioli”. They always taste better the next day when the flavors settle! Be mindful I add olive oil and not extra-virgin olive oil. My aunt Evamari makes a wicked three bean salad similar to this one. Keeps in the fridge for about a week. 1. Open cans and drain beans in colander. 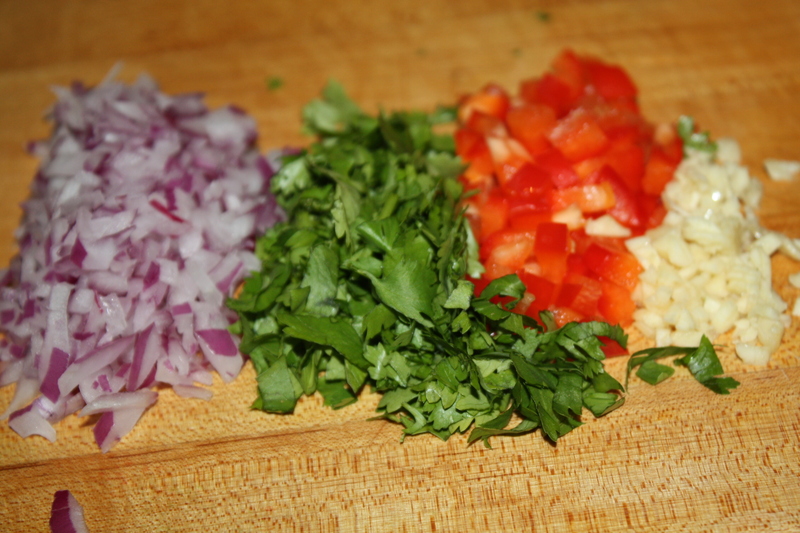 In a large bowl, mix all ingredients and refrigerate. 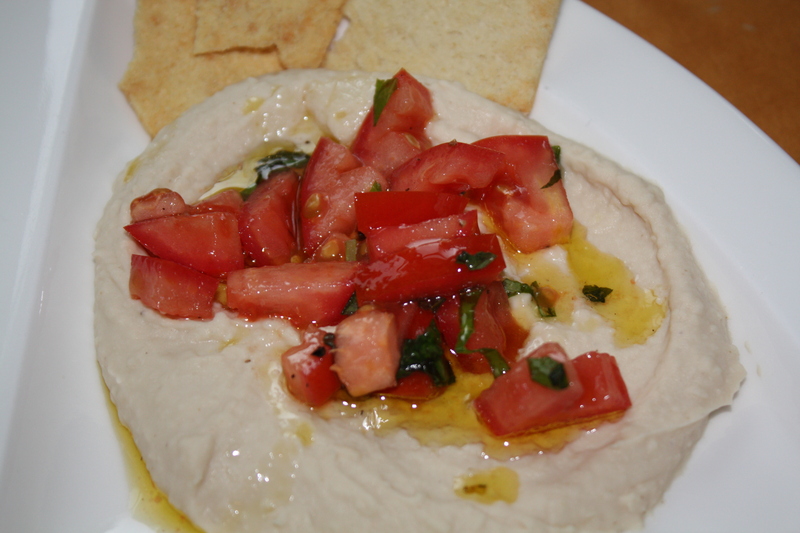 Serve with green salad, alone or over toasted bread. There is no question that this side dish is the traditional Puertorican complement to white rice, fried plantains and sauteed beef tenderloin with onions (arroz blanco, habichuelas guisadas, tostones/amarillos, y bistec encebollado). Of course, for purists of Puertorrican cooking this fast track version of “Habichuelas Guisadas” is a sacrilege (how dramatic!) because I am using canned beans (relax, I also have a recipe with dried beans). However, some of you will agree with me that this quick and easy recipe is a lifesaver for busy parents, college students and professionals that forgot to soften the dried beans in water the night before. Sometimes I find organic canned pink beans. If you want you may substitute the pumpkin with same amount of cubed potatoes or the chicken stock with good quality vegetable stock. 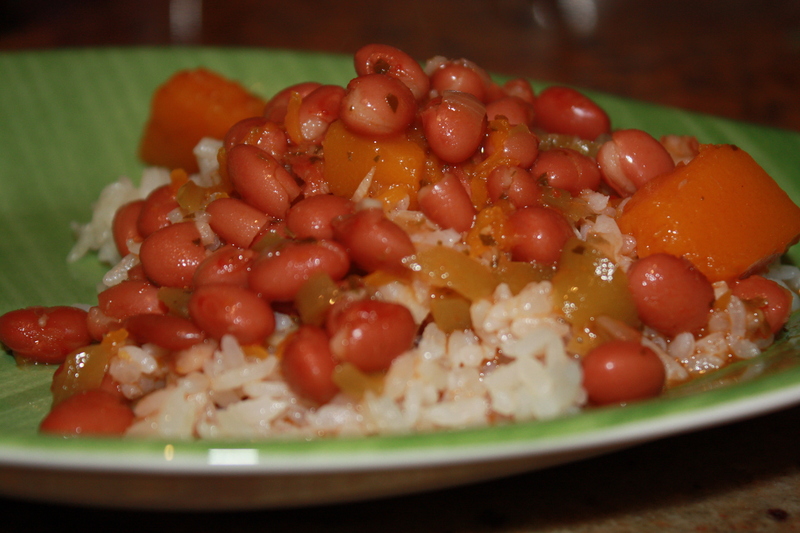 Also, if you have some left overs, you can make “arroz mamposteado” (sauteed white rice and beans). My grandmother likes to add cubed ham (jamón de cocinar) to the “sofrito”. I find my version pretty flavorful and tasty without the ham so its optional and depending on your preference. Well, my mother and grandmother might not approve, but I think these beans turn out pretty awesome! Ja! 1. In a saucepan heat extra virgin olive oil. 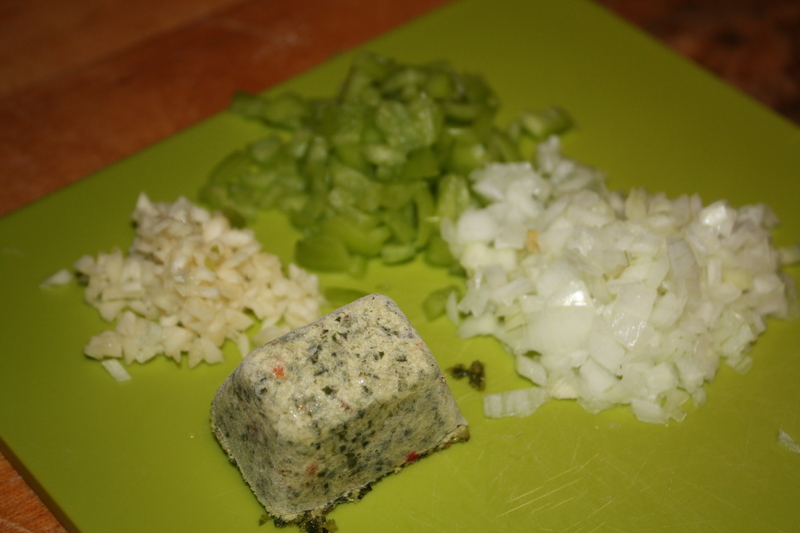 Add garlic, pepper, onion and recaito. Sauté for about 5 minutes over medium heat. 2. 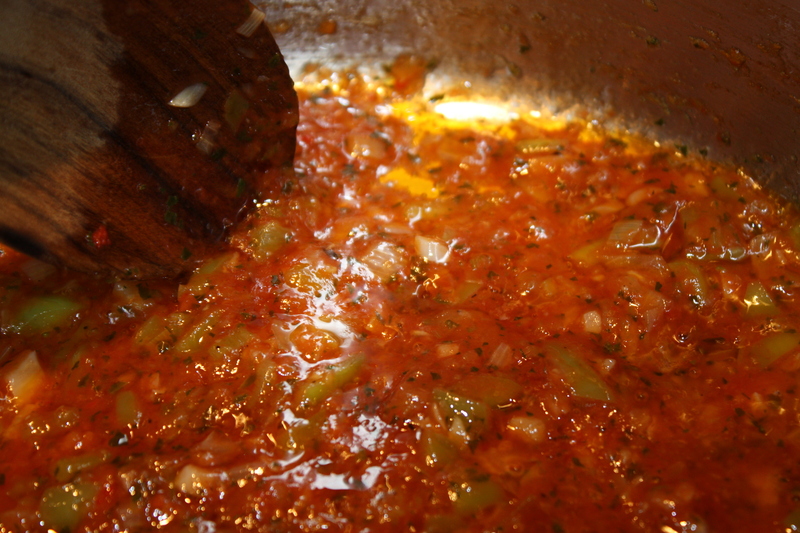 Add salt and tomato sauce to complete the “sofrito”. Sauté for about 3 minutes. 3. Add beans and pumpkin and stir followed by chicken broth. Cover and cook over medium-low heat for almost 20. 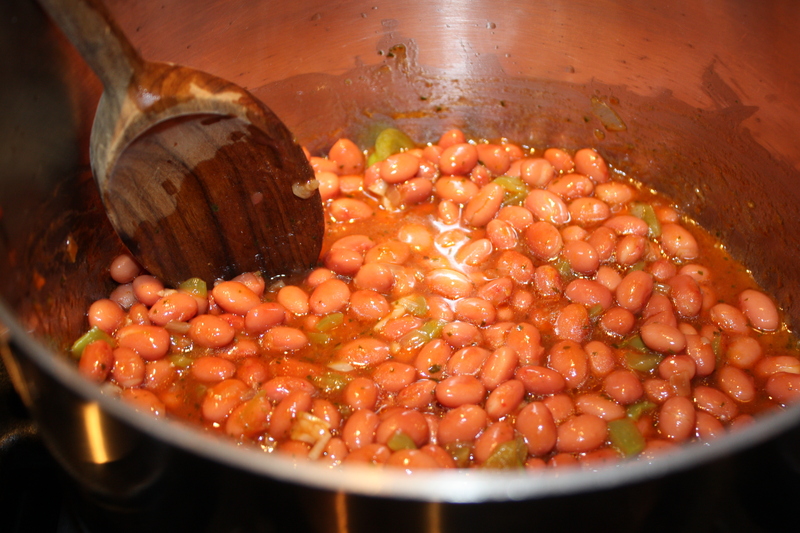 Stir occasionally and make sure there is enough liquid for beans not to stick to bottom of sauce pan. 4. Serve over your choice of white or yellow rice.